In the Sunday Star under Fit4Life section, Dr Amir Farid Ishak shared his journey from a conventional trained gynaecologist to applying holistic and integrative medicine encompassing herbs, traditional therapies, qi gong, etc. The article titled “10 years of change- My journey from conventional to holistic integrative medicine” is available in The Star Online. There are very few qualified medical doctors in Malaysia who have the courage to write complementary healing articles, knowing full well that they would be scorned or criticized by their peers. Most of the time when doctors treat patients, they are interested to prescribe the quickest cure possible. No one have time to even ask about the patient’s history and what external factors could have contribute to that condition. The patient having signs that tallies with the expected medical examination (ie blood test, xrays, scans) would be prescribed with the ‘appropriate’ medication. And which doctor in their ‘supposedly right mind’ would want to risk giving everything up and venture into the unfamiliar territory of alternative medicine, which had not gotten endorsements and is known not to earn that much. Well, only those who truly study to heal and who knew, from observing the patients that there is more that meets the eye . That is why I have great admiration for Dr Amir, who write articles with alternative healing and at least provided some options. 1. His first qi gong master who had advanced colon cancer. He underwent all the treatments- surgery and chemotherapy but was still given 6 months to live. He went to Beijing and learned Guolin Qigong. Within a year he was cancer free and still alive today, 30 years after that death sentence. 2. His own brother-in-law who had lymphoma. 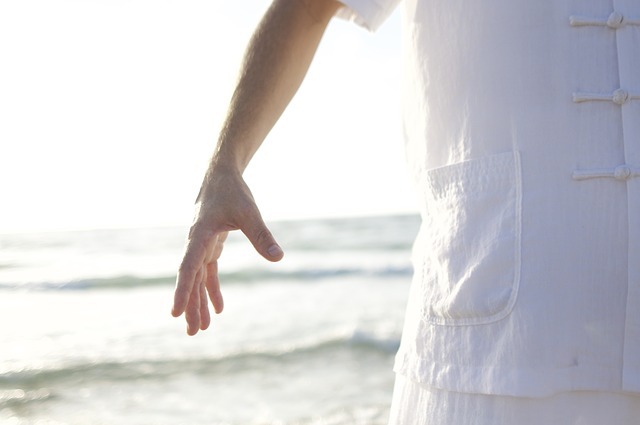 His brother-in-law refused to learn qi gong and relied instead on the conventional treatments. During the first round of chemotherapy, it was successful because the lumps disappeared and the blood results showed remission. But within 6 months, the cancer came back and he died within a week of completing the second “successful” course of chemo. He questioned the success of chemotherapy in treating cancer and mentioned that in actual fact, studies headed on oncologists themselves found that the success rate of cancer remission using chemotherapy is only about 3% to 7%. It is very controversial when it comes to cancer treatment– whether to adopt holistic or conventional treatments. In the end, both pro and cons should be weighed and it would be up to the patient and the immediate family members to weight and decide on the best course of treatment. The ‘approved’ and ‘accepted’ protocol would be either one more of the combination: surgery, chemotherapy and radiotherapy. In my opinion, cancer may be an outward symptom of a deeper issue. Repressed intense emotions could have lay the path towards uncontrolled mutation of abnormal cells. In each and every one of us, we have cancer cells but under normal circumstances our immune system keeps the population of cancer cells in check. By the time the test results show that a person already had cancer or advanced stage of it, tackling the emotional aspects, overhaul of diet and lifestyle may not be sufficient to effect a cure. Given eminient possibility of dying staring one straight on the face, starting to tackle intense repressed emotions like anger, guilt and fear may prove too overwhelming for the average person who have neglected these issues for so long. Furthermore, in most parts of the world, it is hard to find alternative health providers that specialises full-time in cancer healing, covering all aspects: diet, exercise and emotional. And if a person want to go 100% holistic, he/she must watch the diet, fitness and emotions for life. Any slip-up and the cancer may just return. This is just too much work, effort and commitment for most people. And for those who are out of touch with their feelings and emotions, one absolutely don’t know where to begin. And it’s no scientific quarantee it would work. So it’s understandable that couple with the intense fear of dying, seldom one would try something that is not scientifically proven and endorsed by the medical community. From my observation, those who recovered from cancer (either with conventional or holistic medicine) without a relapse usually did a complete inner overhaul. And after which, they would declare that “having cancer was the best thing that happened to me“. You can google it and a number of search results would appear- usually from people who have undergone complete change and taken the time to do things that they otherwise would not do. However, most of us are so used to shortcuts and convenience in life. We see what we want to see, and what we don’t want to see, we try to ‘forget about it’. The ‘I have a problem doc…. please get me better’ way of life. So the conventional treatments are more aggressive because logically the aim is to get rid of the physical cause. The patient suffers more, but in a shorter duration. Conventional treatement would always treat what that can be physically showed up in scans- the reactive approach of “search, fight and destroy” is applied . Because it is not part of the treatment to ask about the patient’s personal life- except for any allergies. Some may choose to treat the symptoms first and work on the issues later. Remember, if the actual cause of the problem is not tackled, the cancer cells may return reappear at another place. And in the case of very advanced cancer that have spread to bones and brains, the question is, would one favor quality or quantity? If the patient is already very weak, would the person want to live on the remaining of his/her life one day at the time and settle any ‘unfinished’ business, or let the possible chemo to make one go faster and to suffer greatly in the process. I have seen a number of people (relatives and parents of dear friends) with recurring advanced cancers that have spread to the brain, spine and bones who opted for chemotherapy could not survive the chemotherapy because their body was already very weak. Sadly, so far I have not personally known of anyone who managed to survive the chemotherapy from a second relapse of cells that had spread to the bones, spinal, lungs and brains.